Register Forms – Cash & Carry 15818 At Print EZ. Register Forms – Cash & Carry Item No. 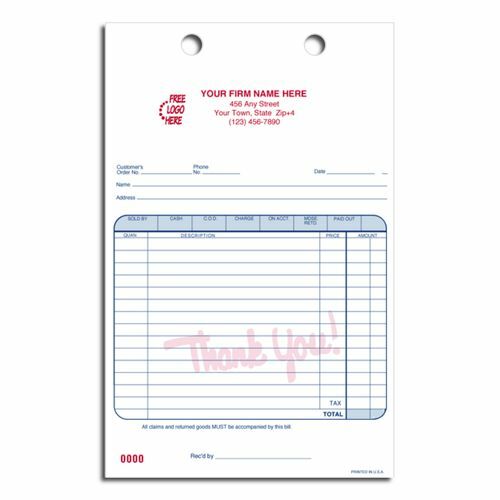 15818 Size: 4 5/32" x 1 5/16"
These register forms are best suited for cash & carry wholesale and retail businesses. But that is just a suggestion as this versatile register form can be put any other use. The thirteen lines of the register are enough for noting items purchased by a wholesale or retail customer. There are preprinted areas for price and amount as well. Made from high quality carbonless stock, the die cut holes at the top fit most standard registers. 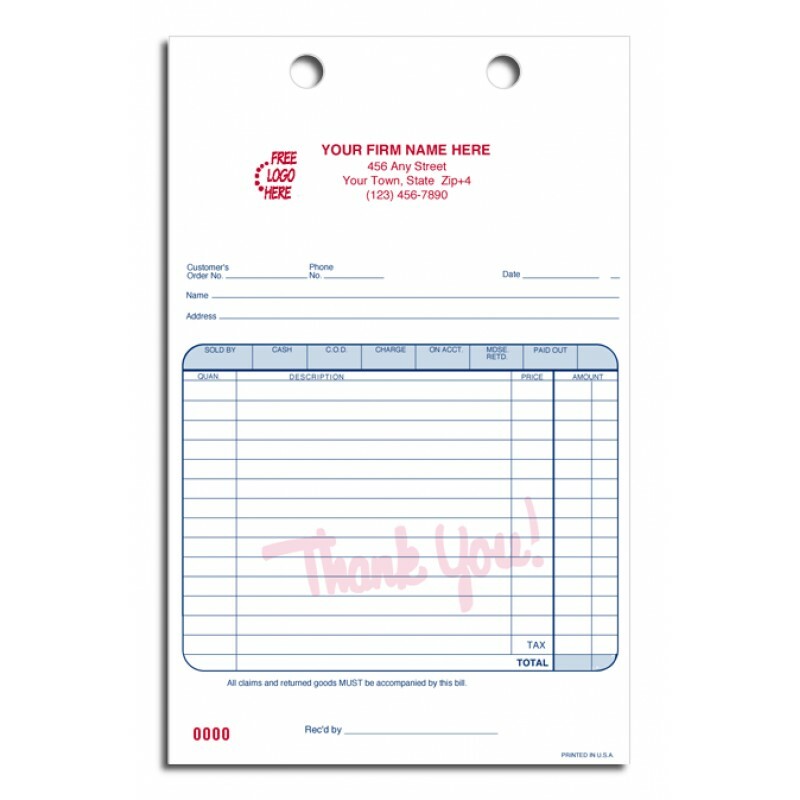 Get these set of two forms, up to four lines, personalized with your key information and logo free of cost. You can order a minimum of 250 forms. You may want to check our offer of free shipping for orders of over $150.